Photo: Peter Yegen House, ca. 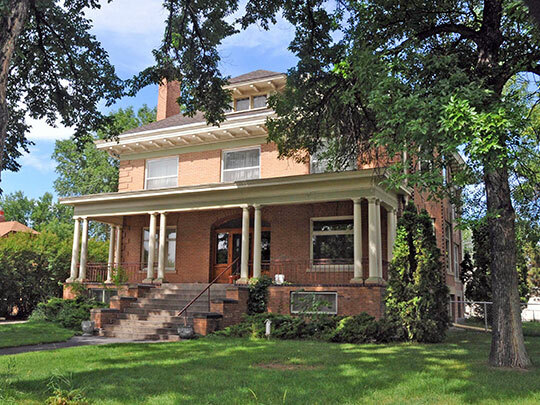 1911, 209 South 35th Street, Billings, MT. Listed on the National Register of Historic Places in 1980. Photographed by User:Jerrye & Roy Klotz MD (own work), 2013, [cc-by-3.0 (creativecommons.org/licenses/by/3.0)], via Wikimedia Commons, accessed November, 2013. The Yellowstone County Courthouse is located at 217 North 27th Street, Billings, MT 59101; phone: 406-256-2862. Yellowstone County was established in 1993, six years prior to Montana being granted statehood.